The Chinese People’s Liberation Army-Navy (PLAN) will deploy ballistic missile submarines on deterrence patrols in the Pacific Ocean later this year, placing them within striking distance of Alaska, Hawaii, and the western United States. This report isn’t too alarming – U.S. Navy ballistic subs regularly deploy on deterrence patrols, and during the Cold War Soviet boomers regularly parked off America’s coasts with little fanfare. The significance of these deployments have less to do with China’s second-strike capability than with extending its reach beyond their regional coastline and moving towards a true blue-water navy. Sailors of the world, unite. The PLAN’s operations have typically focused their own neighborhood. China’s naval force, until recently, comprised of craft better suited to Anti-Access/Area Defense (A2/AD) in the surrounding seas and their claimed territory. 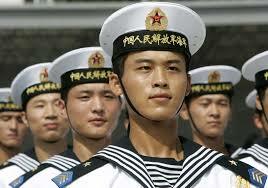 Quiet diesel submarines, along with hundreds of missile boats and patrol craft, make up a bulk of the Chinese fleet. The Air Defense Identification Zone (ADIZ) over the East China Sea and the DF-21D anti-ship cruise missile (ASCM) round out China’s robust A2/AD doctrine. Focusing on such a strategy has its advantages – China certainly has an edge over some form of U.S. intervention in Southeast Asia that might threaten China’s interests, including in Taiwan. While China’s salami-slicing and regional territorial disputes with its neighbors are rightfully garnering attention in the region and throughout the world, they aren’t the only moves up its sleeve. Since the mid-1990s, China has tested its ability to conduct blue water operations, gaining the experience and training they sorely lack. Beginning with multinational exercises with European navies, the PLAN moved on to Chinese destroyer deployments in the Gulf of Aden in support of anti-Piracy missions there. Protecting Chinese shipping interests in the Middle East is just the beginning of PLAN blue water deployments. PLAN ships have already deployed within Southeast Asia, including an exercise this month in the vicinity of the Malacca Strait, apparently searching for alternatives to the strait in the event of regional crises which threaten strategic interests. With East African piracy winding down and West African piracy ramping up, Chinese intervention in West Africa is just down the road. Nigeria produces 5-6% of the world’s oil, and China is keen on protecting their economic and shipping interests in West Africa, just as they were in the Gulf of Aden. This doesn’t mean another international coalition to battle piracy; rather, international cooperation and aid to West African nations. 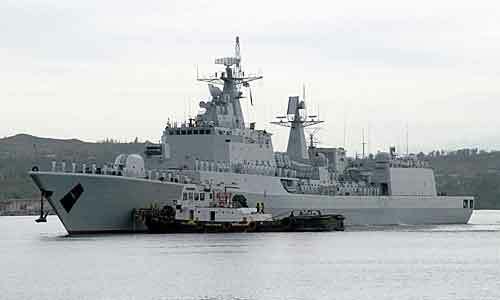 While the U.S. has been slow out of the gate on this front, China is already delivering naval patrol vessels to the Nigerian navy. It appears China is more eager to gain influence and protect interests in the region than the U.S., meaning maritime patrols and port visits to the area are not out of the question, especially if China longs for an influential and worldwide deployable naval force. West Africa, the Pacific deep, and the Straits of Malacca are not the end for PLAN deployments. Chinese forces may soon make an appearance in the Arabian or Red Sea to project power and match wits with the U.S. Navy. While deployment experience and combat training are far behind the U.S., these moves are a step towards gaining legitimacy and experience in worldwide operations. U.S. Naval intelligence projects a Chinese blue water navy by 2020; they are well on their way. LTJG Brett Davis is a U.S. Navy Surface Warfare Officer. He also runs the blog ClearedHot and occasionally navigates Twitter. His opinions are his own and do not represent the views of the U.S. Navy or Department of Defense. Good article. Couple of quick points though. Thanks for the reply. With regard to Arabian Sea deployments, I was referring to regular deployments similar to USN and NATO deployments. Also, I was indeed referring to aid to West African nations regarding both military sales and specific anti-piracy missions, not necessarily APS. I’m aware of US involvement in West Africa, but also pointing out that China may begin more patrols in the region to further protect their interests, along with the aid and sales they’ve already made. Nigeria already has one former USCG High Endurance Cutter and are expected to get another.